Personalize your ring! 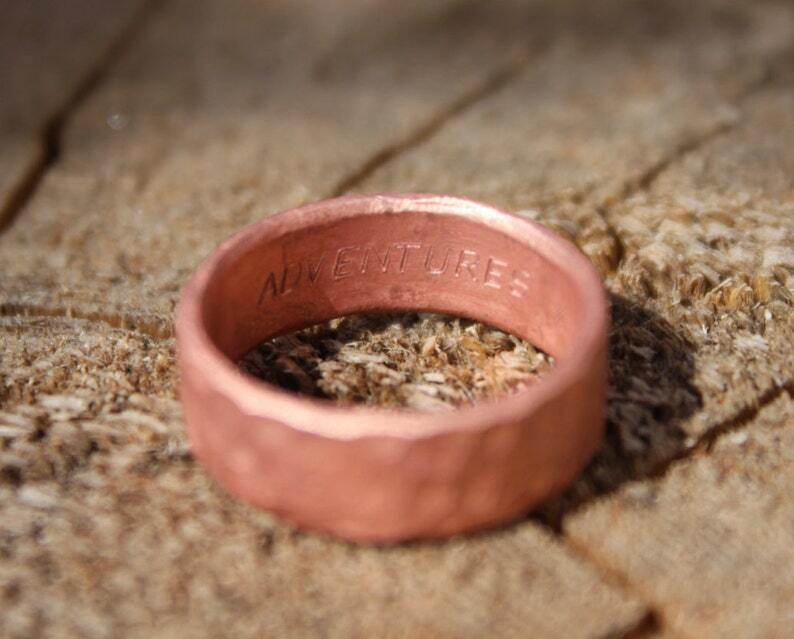 Add a custom message to the INSIDE of your ring by adding this item to your cart along with one of our handmade rings. This listing is an UPGRADE to one of the rings you are already purchasing. Add up how many letters, numbers and symbols you would like engraved on the INSIDE of your ring and select the corresponding option from the drop down menu above. Please do not count spaces, periods(. ), dashes (-) or plus signs (+) as these are already included. Contact me with any questions and I would be happy to help you determine how many characters would be able to fit on the inside of your ring! From our home to yours, our rings are handmade to guide and illuminate your spirit. Thank you for looking at MountainUrsusDesigns! My husband loves his ring - thank you!!! And the engraving is such a nice touch! The engraving on the inside was perfect!